Sometimes a simple cauliflower without any other fancy ingredients is all it takes to make a great cauliflower dish, this is one of it and there is another one that I had shared during the past, the Coliflor rebosada. You never know a simple vegetable like this packs a lot of flavour once cooked right. The natural flavour just comes out, it’s nutty, sweet and savoury at the same time, the texture is simply amazing it can be enjoyed on its own or as a side dish. In a large salad bowl combine lemon, olive oil, garlic and sea salt. Add the cauliflower and toss to coat vegetables evenly. Place in a baking paper lined baking tray then season with freshly ground black pepper, bake in a 200C preheated oven for 25-30 minutes or until florets turn light brown. Once cooked remove from oven then place in a serving plate. Serve generously with finely grated parmesan cheese. 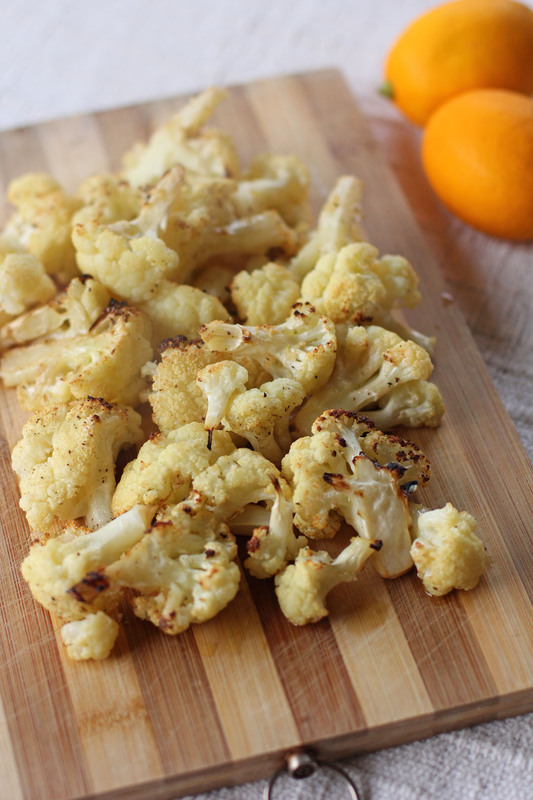 Cauliflower is one of our favorite veggies, and it is especially wonderful roasted – love the lemon and garlic in here! Oh, yes, definitely a favourite – delicious and easy. 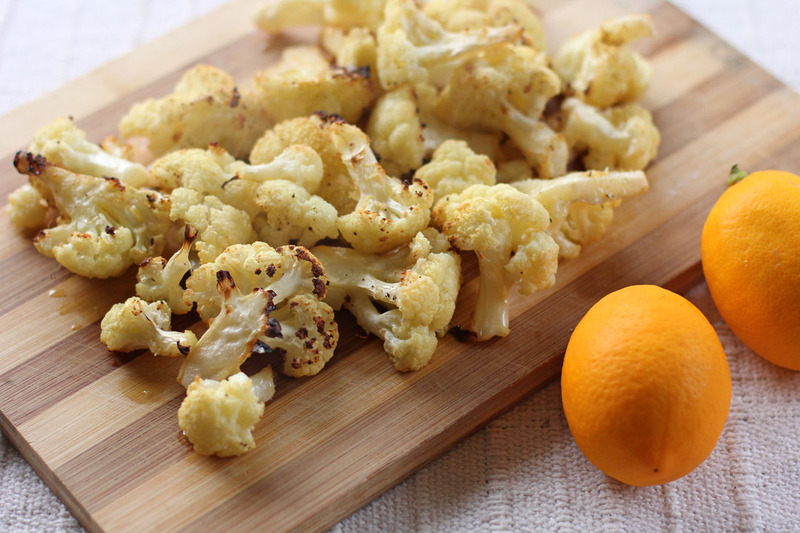 The addition of Parmesan cheese, alongside the lemony garlic vibe of your cauliflower, is a sure fire winner!